Are you taking enough Vitamin D - now - in the middle of winter? You probably know that vitamin D is important and that you can get it from the sun. 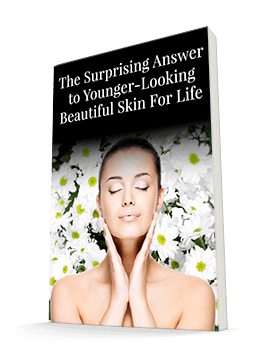 You also may know that you absorb much of your vitamin D from the sun through your skin? But did you know that we're in the middle of the month when vitamin D drops to its lowest levels in most people? If you've been experiencing severe winter weather like much of the country, you may not be surprised to hear this. That's because you aren't spending much time outside! And you certainly aren't exposing much skin to the sun. Most of us are completely bundled up when we go outside. But it's still important to get enough vitamin D. Here's why - and what you can do to make sure you're getting enough. Your bones need vitamin D to help them absorb the calcium and trace minerals they need to make strong bones and fight osteoporosis. Vitamin D also helps your immune system, joining you in the battle against seasonal illnesses such as the flu. If your vitamin D levels drop, your body can't fight off pathogens as easily. That's why it's important to get plenty of vitamin D every day. But during the winter months, your levels can fluctuate drastically. This isn't just because you're spending less time outside - it's also because vitamin D levels lag the solar cycle, peaking in August and troughing in February. Now that scientists have a more precise understanding of levels of vitamin D, they can better understand its role in immunity and seasonal diseases. Of course, these levels were determined by looking at averages - in a study of 3.4 million blood samples collected weekly in the U.S. between July 2006 and December 2011. Unfortunately, these averages aren't high enough for optimum health. 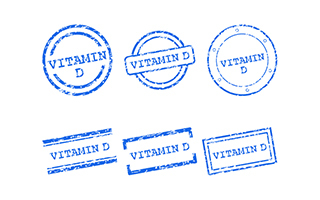 Historically, most doctors wanted your vitamin D levels between 30 and 50 ng/mL. But today, with more research showing the value of vitamin D, many doctors agree that you really need your blood levels of vitamin D over 50. In fact, most consider 60-75 ng/mL the optimum level. Your healthcare provider can help you determine what your levels are, so don't just make assumptions based on the month. If your levels are low, the best way to increase them is by exposing your skin to sunlight or by taking vitamin D supplements. Yes, you can get vitamin D from foods like egg yolks, mackerel, salmon, sardines, and herring. Milk and cereal are frequently enriched with vitamin D as well. The problem with most of these foods is that it would require you to consume a significant amount of these foods and therein lies a whole other set of issues. In addition, some of these foods aren't very good for you beyond the vitamin D content. Bottom line, in the middle of winter, food alone can't really provide enough of the vitamin D your body needs. During the warm months of the year, you can get vitamin D very quickly by exposing your bare skin to the light, particularly in summer. You don't need to tan or burn, just stay in the sun for about half the time it would take for your skin to turn pink and begin to burn. Many think exposing your skin to the sun is bad for it. But quite the contrary - it's very good for your skin to have some exposure to the sun. But, again, don't let your skin burn. How much vitamin D you'll get from the sun depends on the time of day, where you live, the color of your skin, and of course what month it is. But the more skin you expose, the more vitamin D your body will produce. But since it's February, you're not going to get enough from the sun. So it's vital you get vitamin D by taking supplements. Vitamin D3 is the best. And you'll have to take about 5,000 IU every day to get to and maintain optimum levels. You can order a 5,000 IU vitamin D by following this link. Your body needs vitamin D, and during this time of year, it's vital you take a supplement to protect your bones, your skin, and your immune system. Remember, your skin is your first line of defense against disease. Keeping it healthy will go a long way to keeping you healthy. Amy K. Kasahara, Ravinder J. Singh, Andrew Noymer.Vitamin D (25OHD) Serum Seasonality in the United States. PLoS ONE, 2013; 8 (6): e65785 DOI:10.1371/journal.pone.0065785.